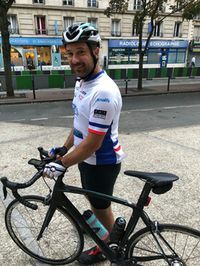 Damian, Les and fellow fundraisers cycled the 305 mile route on 6th September 2018 to raise money for the Ark Centre in Chelmsford. The charity provides therapy for children between the ages of 2 and 8 who have a diagnosis of autism or a social / communication / behavioural difficulty. The money raised will help the Ark Centre move to larger premises with a larger outside space to benefit a wider number of children and make it more affordable for parents. So far, the fundraisers have raised over £58,000 to help Austistic Children. Climalife was very happy to support Damian and Les in their excellent achievement.